Getting your first sponsored blog post is a big deal. It really feels like such a big milestone in your blogging career. Someone willing to pay you to write?! Hello, life dream. But how do you get those opportunities? How do you manage to work with brands that you love AND get paid to do it? 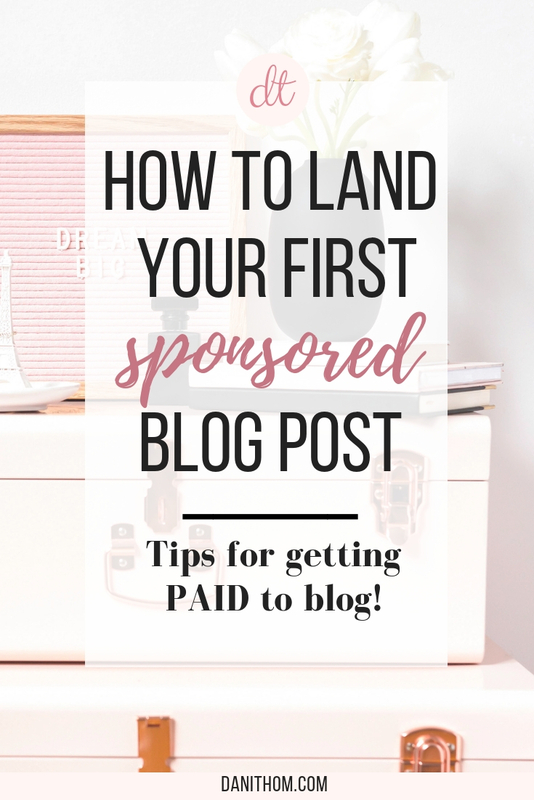 I wanted to walk you through my first sponsored post opportunity that I got for myself so you can see just how easy it is and that you can totally get paid to blog (or get free stuff, or both!). Now as everyone probably knows very well by now, I’m getting married in October. And I’ve been getting a subscription from The Ring Boxes since I got engaged in December. I’ve been writing reviews for them every time I’ve gotten one, just to tell people about them and let them know what’s in it. All of my other reviews were not sponsored. BUT the latest one was. First off, my mentality. I view my blog as a business. It is consistently generating income for me right now, and it’s something I’m truly passionate about. My goal is to be able to blog full time by the end of 2018. If you want your blog to bring in income, you need to treat it as a business capable of generating income. So when I received my last box from The Ring Boxes, I reached out to their support team (which I found in the “contact” section of their website, usually located at the very bottom of the page) letting them know I was interested in doing a sponsored post. I let them know I’d been receiving their boxes for months and I loved them, and I’d love the opportunity to work with them more. Now, it took a little over a week for me to hear back. But when I did? It was the CEO and founder of the company, Antoinette Abrahamsen, who wrote me back. You can probably guess I was SO excited. I was able to work with her from start to finish to give them exactly what they wanted, and for me to get exactly what I wanted. She even gave me my own promo code for my readers to get a discount. That was a cool feeling. So how did this whole process work? What magic did I work here? Let me tell ya, NO MAGIC WAS INVOLVED. This was me going out on a limb, reaching out to a brand I love, waiting patiently, and negotiating. This was my first time doing it, so I wasn’t sure what the outcome would be. But I tried anyway. The only thing holding you back in the end is yourself! Ok Dani, what do I need to make this happen? A media kit is basically a resume for your blog. I knew I wanted to work with brands, so I created one and kept it as up to date as I could. I didn’t include it in the initial email, but I did in my second response. The first email you send should be to establish contact, not talk about yourself. I wrote a post about how to create one and what you should and should include with some free templates for you guys. Check it out here. I’ve got you covered on that below 😉 but pitching brands is all about the WIIFM, aka What’s In It For Me? Brands don’t want to hear about you, you, you. They want to know how this relationship is going to help their brand and improve their numbers. You have to focus on what VALUE you’re providing them, because that’s all they see. I had zero idea what I could charge to write a blog post, create an Instagram post, post on Facebook, etc. The best place to start with figuring that out is visit socialbluebook.com. You can link your sites and they will give you pricing recommendations for each platform. It’s probably one of the most helpful tools I’ve come across and it’s 100% FREE which of course makes it even better. You’ll see in my How To for Media Kits that I recommend NEVER including a pricing sheet when you’re pitching a brand because it completely throws negotiation out the window. You can provide a range, but don’t give specific numbers right off the bat and pigeon hole yourself. You need to have faith in yourself and your brand that you are WORTH being compensated to blog. Fake it till you make it, girl! In the words of Dani Austin, “you are a hot sassy momma and you got this”. Even with a small following, you can start working with brands. 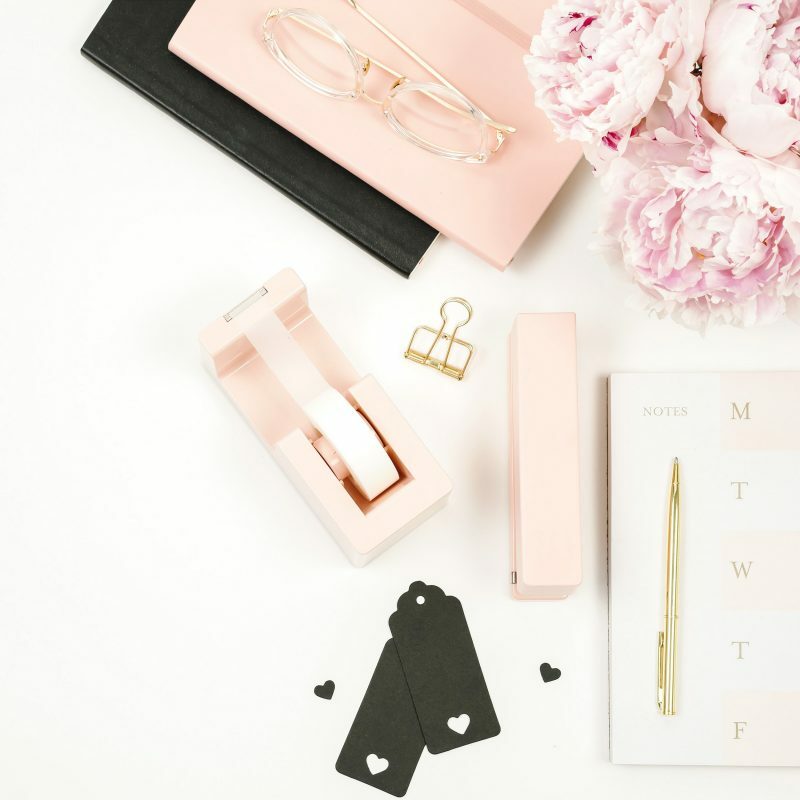 Micro-influencers are a thing! These people are busy. They might look at your email and mean to answer but something came up. We’ve all had that happen. Most of the deals I get happen AFTER I follow up. Now, there’s a fine line between following up and pestering. I follow up maybe 3-5 days after the original email, and if it’s something I really want, I’ll follow up twice. Otherwise, I chalk it up as a loss and will try again in a few months. I know that can be scary. Trust me! It’s crazy to reach out to a brand without knowing what could happen. 1. You don’t hear back at all, which hey whatever at least you tried. This is a numbers game, so keep pitchin’. 2. You hear back but it’s a no for whatever reason. This doesn’t mean give up, this means try again. Just chalk it up as a loss and keep going. Not everything will be a good fit for both sides. You could end up saying no, too! 3. YOU LAND IT and you get to write about something you truly enjoy AND get paid to do it. Winner, winner chicken dinner. So, what have you got to lose? Are you afraid of the word “no”? I worked in direct sales for a few years and let me tell ya, it was probably the best job I’ve ever had in terms of what I learned from it. I had to typically receive 50-100 ‘nos’ to receive a ‘yes’. Talk about thick skin. People are going to say no to you. In all areas of life. But you should never let their ‘no’ define you OR your attitude. You’re awesome, and don’t you forget it. K? Getting and taking a no is part of this journey. You might think that you’ll eventually just make it big enough that people will be reaching out to you! And that’s obviously the goal. But what about before then? Are you close to 100K followers? No? Ok, then get pitchin’. You have to put yourself out there and be seen. You wanna know an awesome ripple effect from that first sponsored opportunity? It opened the door for other opportunities as well. I had other brands reach out to me because of my reviews, and I was able to get a stellar review from Antoinette to add to my media kit! I also now have more confidence reaching out to others because now I’ve done it a few times and am more comfortable. This is all a learning experience for us, so you’ll grow as you go. I’m not saying that will happen every time, but you can use your previous work as leverage in the future, and all of this is a great learning experience that you can perfect as you go. 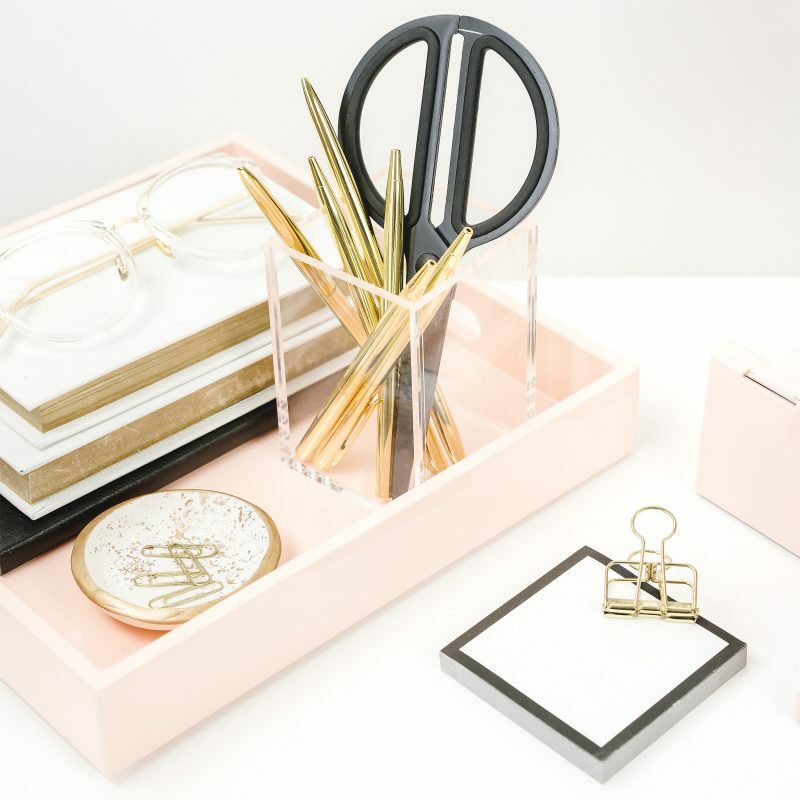 I’m sharing the email template with y’all for how I pitch brands now, so if you’re holding yourself back because you don’t know what to say, download my template, fill in the blanks and get to sending it! Someone in my Facebook group shared this website with us so I came to give it a look.I’m definitely loving the information. I’m bookmarking and will be tweeting this to my followers! Superb blog and wonderful design and style.